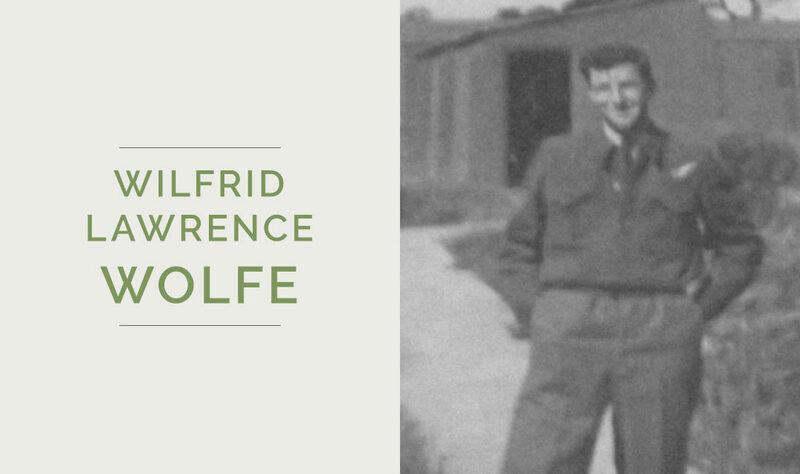 WilfrId Lawrence Wolfe was born in Stoney Plain, AB, on October 3, 1924, and moved to Palmerston at only 2 years of age. He joined the Royal Canadian Air Force and served as a Sergeant-Pilot overseas, seeing action in many operational flights. The Palmerston Observer wrote that it is “reasonable to presume that he took part in the recently intensified bombing of the enemy in Europe”. An article written shortly before his death described a party that was held in his honour shortly before he left Palmerston to return overseas. At this party Wolfe was presented “with a wallet containing a sum of money, and a Waterman’s fountain pen and pencil set” for his brother who was also serving overseas. Wolfe was killed in action on February 2, 1944, and was buried in the Harrogate (Stonefall) Cemetery in England. He was 20 years old. You can view his Commonwealth War Graves page here. “Wilfrid Wolfe, RCAF Was Killed In Action.” The Palmerston Observer [Palmerston]. 10 Feb 1944: 1. Print. “Wolfe Brothers Honored By Their Many Friends.” The Palmerston Observer [Palmerston]. 4 Feb 1943: 6. Print.